Taking a Home Loan? Here are 5 ways it benefits you! In certain areas of the metro cities, property rates have seen a rise of roughly 30%. With these soaring prices, economists are sure that property has entered a phase where it’s outperforming the rest of the economy. It’s safe to say that real estate is definitely in “bubble” territory. A “bubble” phase is characterized by steady appreciation in the cost of a security. This is what we’re observing in real estate. Typically, the public waits for the bubble to ‘burst’ and for prices to fall, but it doesn’t seem likely to happen anytime soon. Despite the all-time highs in prices, people still want to buy their own homes. While this isn’t surprising, it makes the process of buying a home a little more difficult. It can be significantly harder to find a home that suits your budget and meets your aspirations, too. You may be compelled to settle for a smaller home, or a locality that wasn’t your first choice. Through all this, taking a mortgage is inevitable. However, a mortgage has its own benefits. We’ve all seen property prices boom over the last five years. This phenomenon assures you that no matter at what price you buy your property today, it will cost a LOT more a few years down the road. It’s safe to say that the prices aren’t dropping anytime soon. In the long run, property rates will only increase. They never seriously depreciate. Even constructions costs have increased by almost 20% per year, and they account to roughly 70% of the total cost of the property. Rents, too, are keeping up with inflation. The soaring prices of labour and rent cause an inevitable rise in the price of property.Consider this a part of the silver lining. After you pay off your mortgage, your home might very well be worth double the mortgage amount! This will also guard you against inevitable inflation in the future, as you will have the option of selling your property at a much higher rate than you bought it at. Once you’re well into paying a mortgage and/or have achieved complete ownership of a home, you can acquire loans against it. Possessing an expensive asset makes it easier for banks to give you a loan. That’s where your home – an illiquid asset, can be put to use. Your home, which is your biggest investment – becomes your greatest asset. 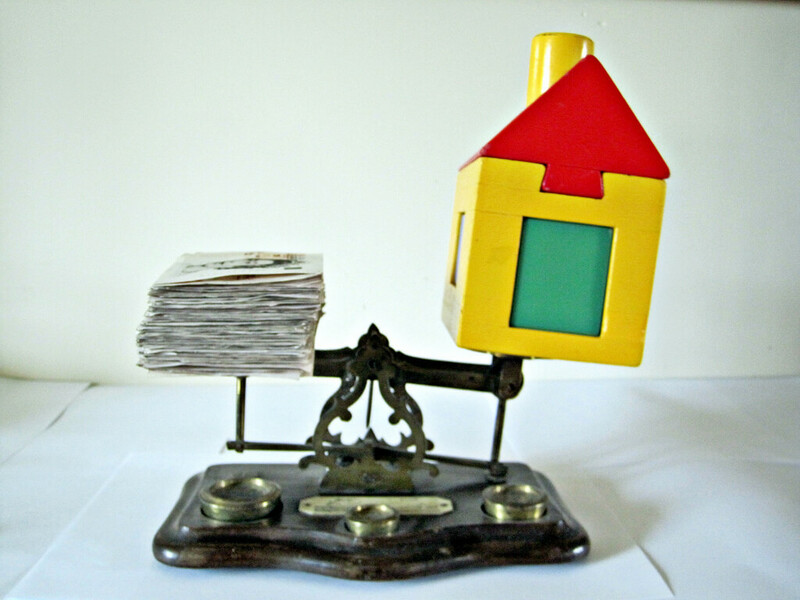 The size of your assets plays a huge role in determining your eligibility for a loan. Therefore, the ownership of a home makes you a good candidate for a loan. Also, secured loans like a Loans Against Property normally have lower rates of interest than other kinds of loans, like Personal Loans. In a situation like this, your property almost serves as a financial umbrella. Whether you’re financially well off or not, you ought to have a good credit history. Choosing a mortgage is a great way to build one. Debt leads to a decrease in your eligibility. A mortgage is commonly known to be a “responsible” or “good” kind of debt, because it’s tied to a physical asset, unlike “bad” debt, like credit card debt. The immediate effect of taking a home loan is a slight dip in your credit score. But, over 6-12 months, with making timely payments to your lender, your score will increase. A history of paying back your EMIs regularly shows a prospective lender that you are dedicated enough to repay on time. As long as you keep paying your EMIs on time, your score will keep increasing. These repayments show lenders that you’re financially responsible. It is widely known that even CIBIL awards better scores to those who have a mortgage, and have been paying their EMIs diligently. Before loaning the capital to you, a bank will meticulously observe and go through the paperwork of the project. This is to make sure that the property is completely legal and free from any kind of disputes. It seeks to ensure that there will be no unexpected problems in repaying the amount the bank loans to you. Due diligence is a formal, stringent procedure and also entails a thorough inspection of the property, an analysis of the project, and an analysis of the builder himself. This is favourable to you because it certifies that your investment is a safe one. It also saves you the trouble of having to conduct a quality background check all by yourself.